Hi Maya, thanks for your comment. The official website says July 22-26, but I think the first couple days are junior rodeo and minor events so it’s better to attend on the weekend days. 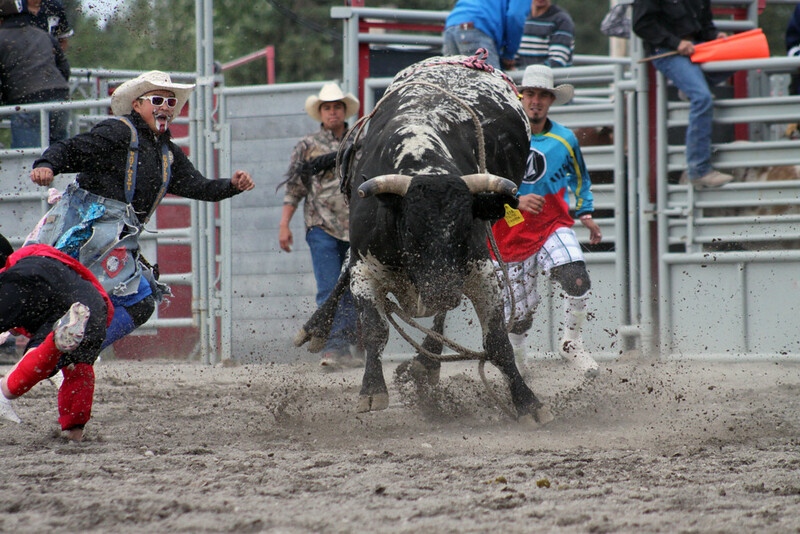 I grew up in a small town in Manitoba with a rodeo every July. Cowboys came to town after the Calgary Stampede. So I have seen a lot of rodeo events. 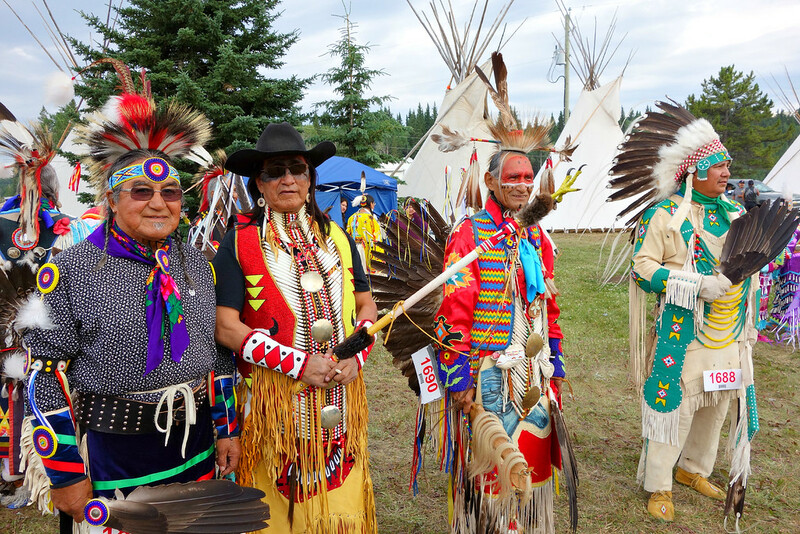 The pow wows and traditional crafts add an interesting feature to the rodeo in Bragg Creek. I like that there are fireworks every night too. Maybe one day I’ll get to see this rodeo. If you’re ever in Calgary mid-July it’s a great day trip. The nearby village of Bragg Creek is also a nice place for lunch in beautiful surroundings. 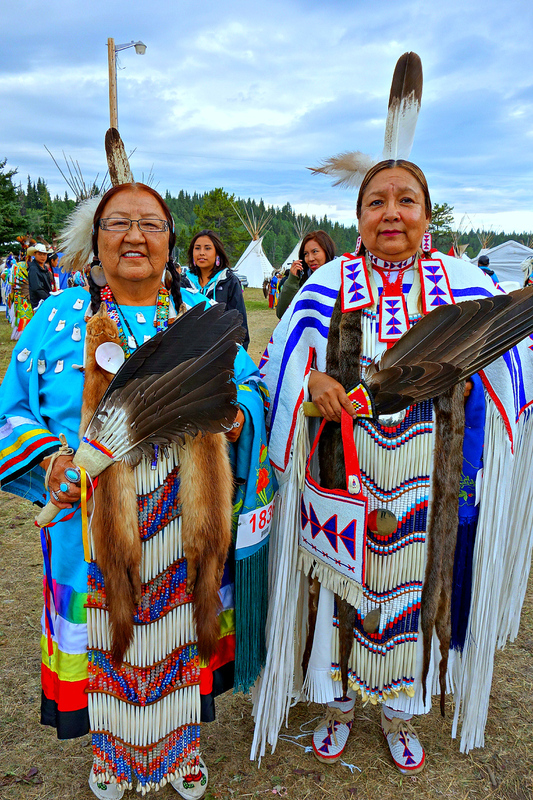 What amazing photography of the Tsuu T’ina National Indian Rodeo. Your pictures almost feel like I was there in a front seat! I was great to have such a close view ourselves. So many photo opportunities! Thanks for introducing me to the Tsuu T’ina Nation Indian Rodeo and Pow Wow. Your images are wonderful. 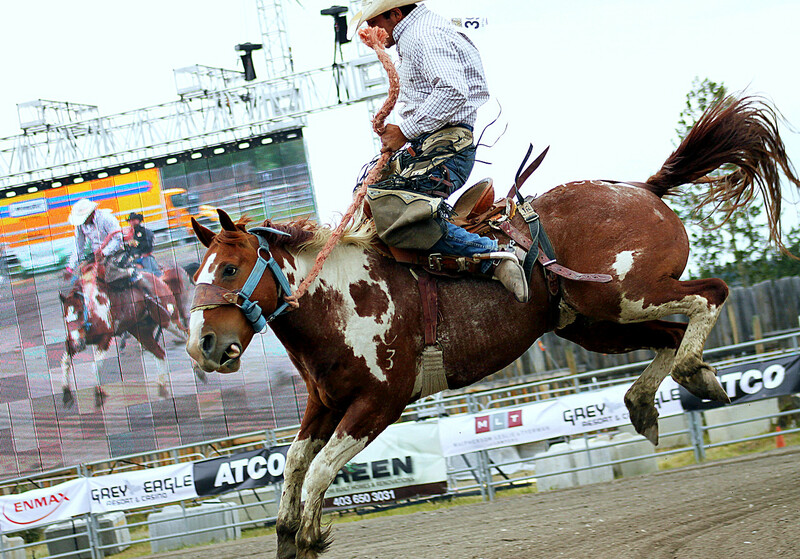 Wow, those are amazing photos, especially the action shots of the rodeo! I never heard of rodeos and powwows being combined; it sounds like great fun! Thank you Rachel. It was a fun day. WOw, gorgeous photos, I love rodeos for all the fun photo opportunities and you really got some great ones. Please share it on our link up today for Travel Photo Mondays. That is quite the spectacle visually and an adrenaline rush to see the prowess of these athletes. Love the horse rider photograph. Thanks Paula! 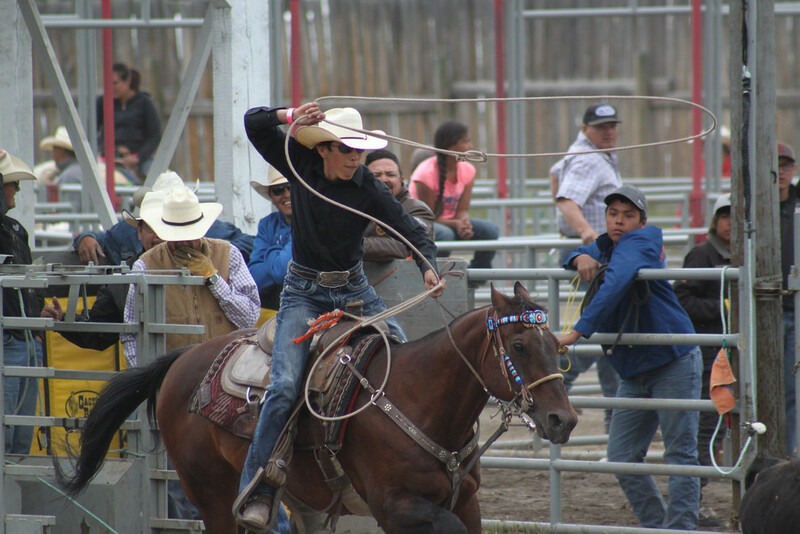 We really enjoyed being so close to the action at this rodeo. 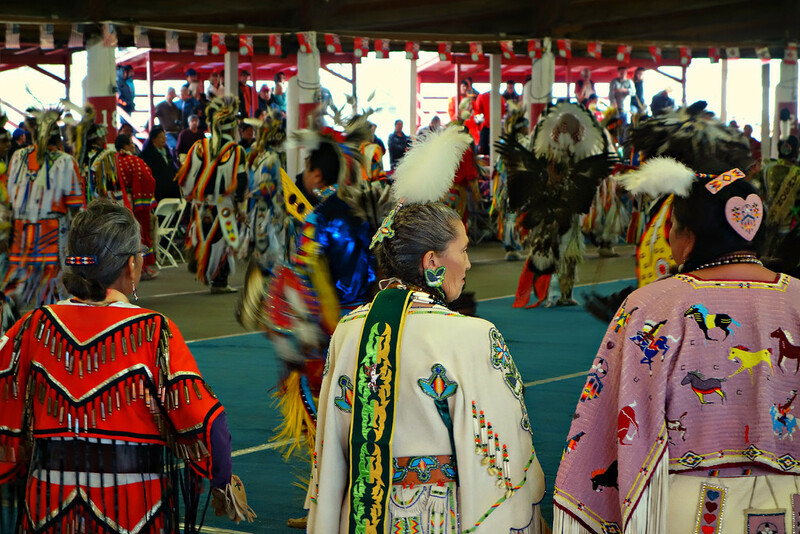 Two of our favorite things – pow wow and rodeo – in one event?! What a terrific opportunity this is! 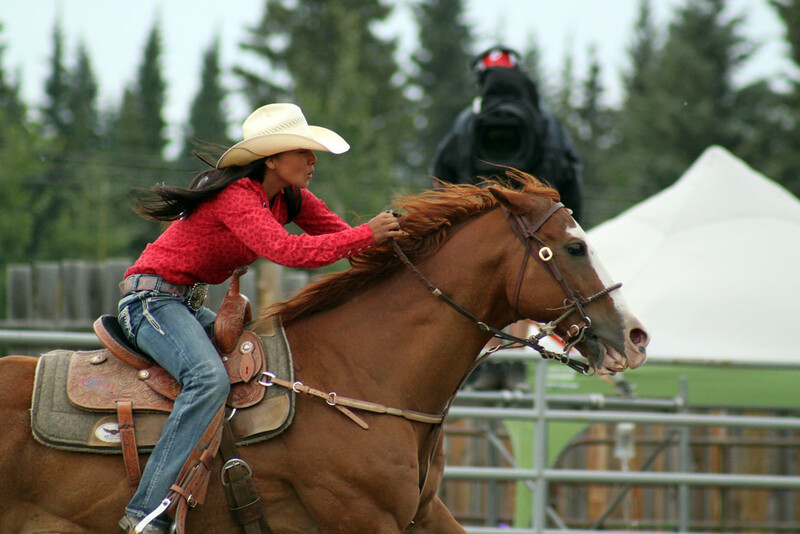 Our daughter is a barrel racer so I love the intensity in the photo of the female racer and her horse. 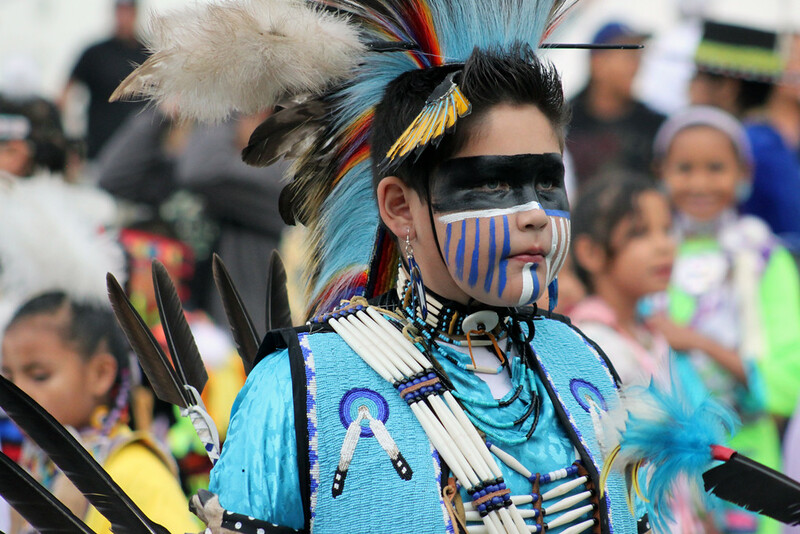 Pow wow is so full of vibrance; your photos capture it beautifully. 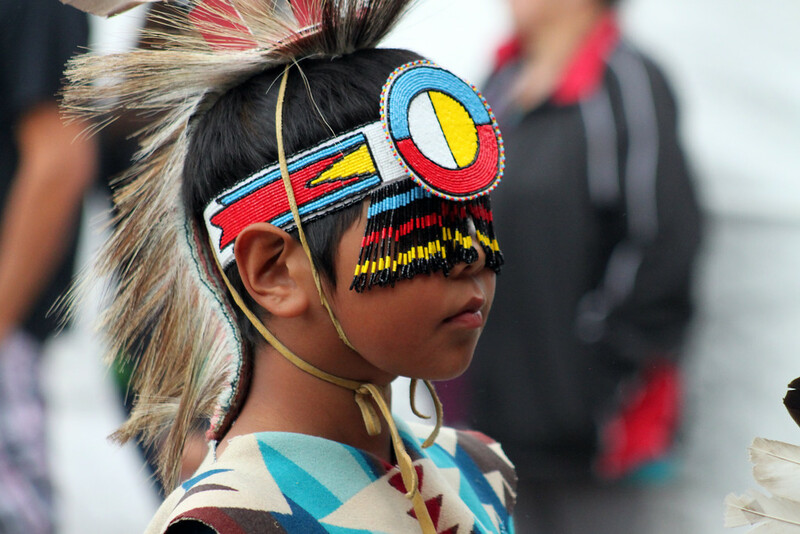 The pow wow was a photographers dream for sure! That’s so cool your daughter is a barrel racer. It’s probably my favourite rodeo event to watch! Wow – wish we had known about this earlier. We are in Alberta right now but by 22 July we will be back in Oz. Oh well, maybe next year. I hope you’ve having a fantastic stay in Alberta!